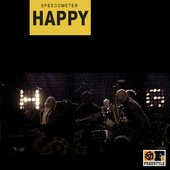 Found this review over at Fleamarket funk – they seem to like our efforts on ‘Happy’. Known for their funkiness, Speedomter’s fresh take (and timing) of this side couldn’t be better. No matter how you feel about the original or Skateboard P himself, the song is catchy.